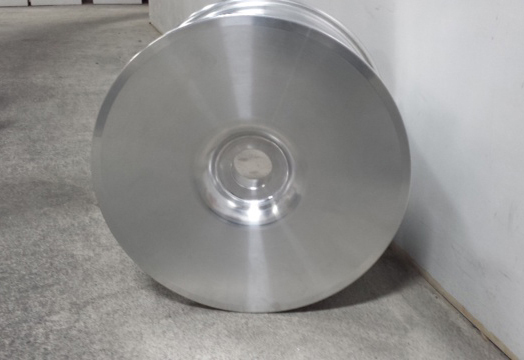 At Swihart Industries, Inc., we are ISO 9001:2015 and TS 16949:2009 certified and have extensive experience in aluminum CNC machining for the transportation industry. From customers that produce material handling equipment to high-performance racing component manufacturers, we have become known as the trusted source for quality machined parts. 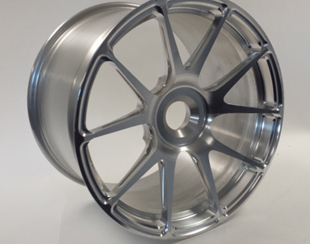 These aluminum wheels were produced for a long-time customer in the automotive aftermarket industry. When our customer had continued quality issues with a previous supplier in another country, they turned to us in order to get the quality and precision they demand. 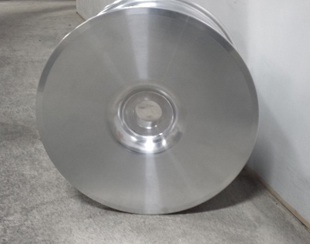 While many shops will say they can machine aluminum, the material has its own unique challenges, and experience is required in order to produce a high quality end result. 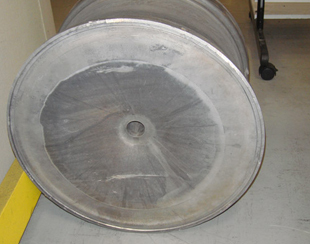 The wheel is machined from a 6061-T6 aluminum forging. We sourced the forging for our customer, and then brought it in-house for finish machining. The forging was turned and milled to the customer's specifications with tolerances of +/- .001" held at all critical dimensions. 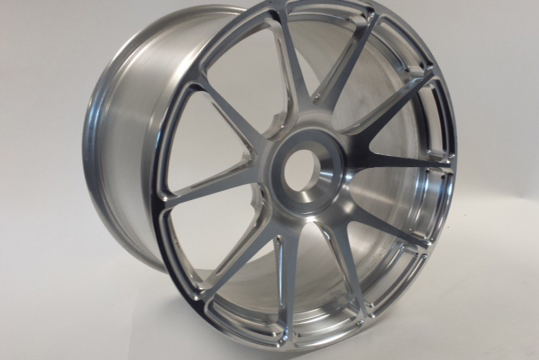 The wheel was then deburred and given a surface finish of 63 RA on all machined surfaces. 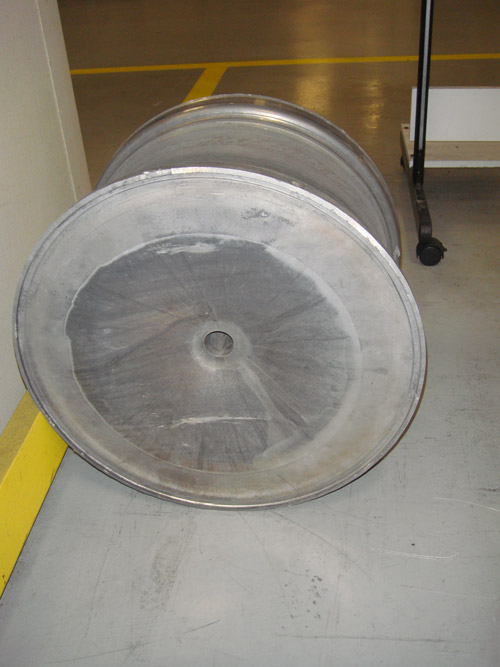 The finished wheel underwent dimensional inspection before final delivery. For more information about this project, see the table below, or contact us for more information. This part is a lightweight forged aluminum GA1R Wheel.